UPDATE: Good News to all candidates who sat for the Just concluded JAMB UTME, Those whose results were withheld has been released today 26th March 2018, So all candidates who has been seeing “no Result yet” should log in and check their results, we have been able to check so many today. 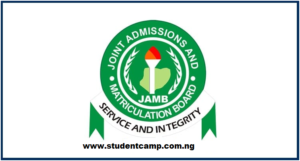 The Head of Media Mr. Fabian has made it known to the public on Tuesday, 20th March 2018, that The Joint Admissions and Matriculation Board, JAMB has release a total results of 1,502,978 candidates while the results of 111,981 candidates are still withheld for further screening. Also he said that the results of the 350 blind candidates, who took the 2018 UTME, is yet to be released also. and that they will release all, along side with the ones that are withheld. Mr. Fabian Said the Final Batch of Results will be Released Today, 21st March 2018 by 2pm that the Board will not come to any media to Announce it again. Hopefully we are expecting that all candidates who sat for the 2018 JAMB UTME will be able to access their results today. Hopefully before the day runs out. Kindly Note That as you check your result you are to print it out immediately because very soon JAMB will be charging N1,000 to print out your Results. Do that now that it is free. Origin:	ANAMBRA-EAST in Anambra State. Origin:	GWALE in Kano State. Origin:	IFELODUN in Kwara State.